Our blueberry syrup makes an excellent topping over ice cream too! PANCAKES: In a small bowl, beat egg whites until stiff; set aside. In a separate bowl, sift together flour, baking powder, sugar and salt. Beat egg yolks in a medium mixing bowl, add milk and melted butter. Stir milk mixture into dry ingredients, mix until batter is smooth. Fold in beaten egg whites. Gently stir in blueberries. To make pancakes, pour 1/4 cup batter onto a greased hot griddle. Leave at least 2 inches between pancakes. 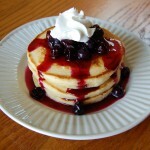 Allow them to cook until the tops of pancakes are bubbled, then turn with spatula. Cook until the underside is lightly browned. 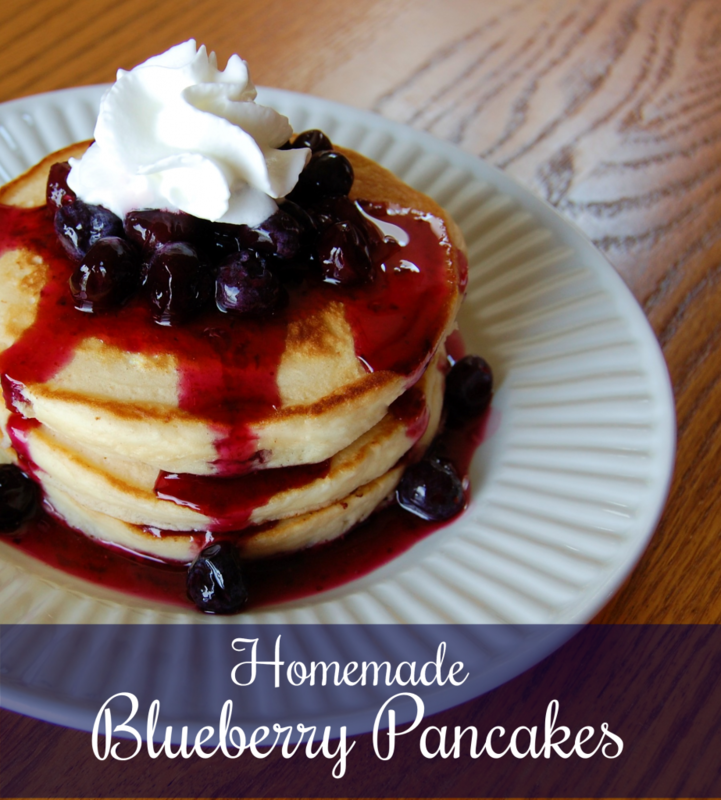 BLUEBERRY SYRUP: Combine sugar and the cornstarch in a two quart sauce pan. Gradually add the water and lemon juice. Stir in the blueberries. Bring to a boil, over medium-high heat, stirring constantly. Reduce heat, simmer until it starts to thicken. Serve warm over pancakes or ice cream.